I don’t have time to write much, and for the reason I don’t have much time to write, I am a crazy person for committing to three of these things this week. You, YES YOU, can see quality comedy for (ostensibly, but please donate a couple bucks if you can) free in Knoxville this week! QED, Comedy Laboratory presents GLUTTONS FOR PUN-ISHMENT. Holy crap this is going to be the funniest and best kind of stupid. Hosted, I believe, by Shane Rhyne, who you may remember engineered a mind-altering Comedy Spelling Bee. The only sad part was how the rest of the team rejected my idea to put Brian Johnson’s likeness on a flyer with the word PUN-DERSTRUCK, though the lightning bolt remained. Hopefully AC[lightningbolt]DC’s team of lawyers doesn’t show up and sue our asses. Anyway, tonight at the Pilot Light (106 E. Jackson) at 7:30pm, we’ll have the biggest LOLs of them all. Boom, COME AT US, BON SCOTT’S GHOST! I will be performing in a benefit show with my two hilarious friends from Florida who call themselves Larry Fulford and Alex Luchun, but I refer to the inseparable duo as Fulf-n-Looch when they aren’t around. Anyway, they’re up from Orlando to co-headline a benefit show at the Open Chord Rock n’ Roll Emporium (I think that’s what it’s called; 8502 Kingston Pike). I’ll be featuring, along with a handful of Knoxmedians to benefit the Masonic Widows and Orphans fund. Showtime 8pm, 18+ I think. 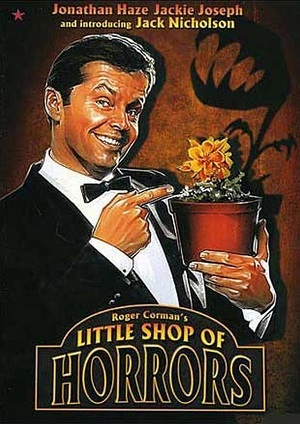 It physically hurts to have to bow out of this one (THIS TIME around, cause these shits are unmitigated fun-times), but you should totally go to Scruffy City Hall to check out the third installment of the Scruffy City Cinepub 6000 presenting the original, bare-bones “Little Shop of Horrors” complete with riffs from a number of great local comics. I did the last two and had a great time, and I’m sure I’ll be back next time if I’m in town. I should take a moment to point out that this is in no way affiliated with Mystery Science Theater 3000, and if you have trouble believing that, the joke’s on you COME AT US, MIKE NELSON, BUT NOT REALLY BECAUSE WE KNOW YOU HAVE BETTER THINGS TO DO/SEE YOU ON DECEMBER 3RD FOR YOUR NEXT SANTA MOVIE RIFF. I will be doing a standup set (along with my good pal Shane Rhyne) at Downtown Randall Brown’s Halloween Spooktacular! 8pm at Scruffy City Hall. 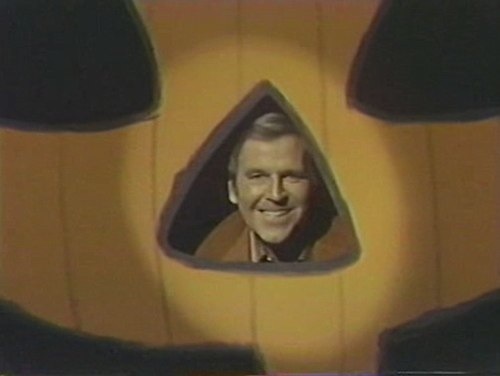 This will be based creepily enough, off of the 1976 Paul Lynde Halloween Special, which I’m still trying to decide whether or not to watch in preparation. At any rate, Ricky Moon, Knoxville’s most fabulous human, will be hosting the show in character(?) as Paul Lynde. In case you missed it, Ricky Moon blew Episode Two of Friendlytown the ever-loving-hell up with his personality, charm, and pure love for his homeland. Marble City Opera will be playing a set to open for the show starting at 7:30. Tickets are $10 and awesome. Sassy Ann’s aka the Sass Factory will NOT BE HAPPENING. There is a private party happening, so spend the night of the 30th egging your loved ones. I’m sorry I lied about comedy happening every night this week, but it made sense at the time because there is a ridiculous string of great shows that will provide you the laughter you probably deserve. But mostly, I’m proud of the “Big Balls” pun.